Dondrae Bremner (Toronto, Ont.) , No. 16, is congratulated by Tyler Duncan (Sooke, BC) after scoring. Photo: Adam Morissette. GUERRA/SAN PEDRO DE MACORIS, DR – The Junior National Team earned a pair of one run victories to sweep a doubleheader, first beating the Philadelphia Phillies Dominican squad 4-3 in the morning before taking care of the Detroit Tigers, 3-2, in the afternoon match up. The juniors improve their record on the Dominican Summer League tour to 7-5 with two games remaining on the schedule. 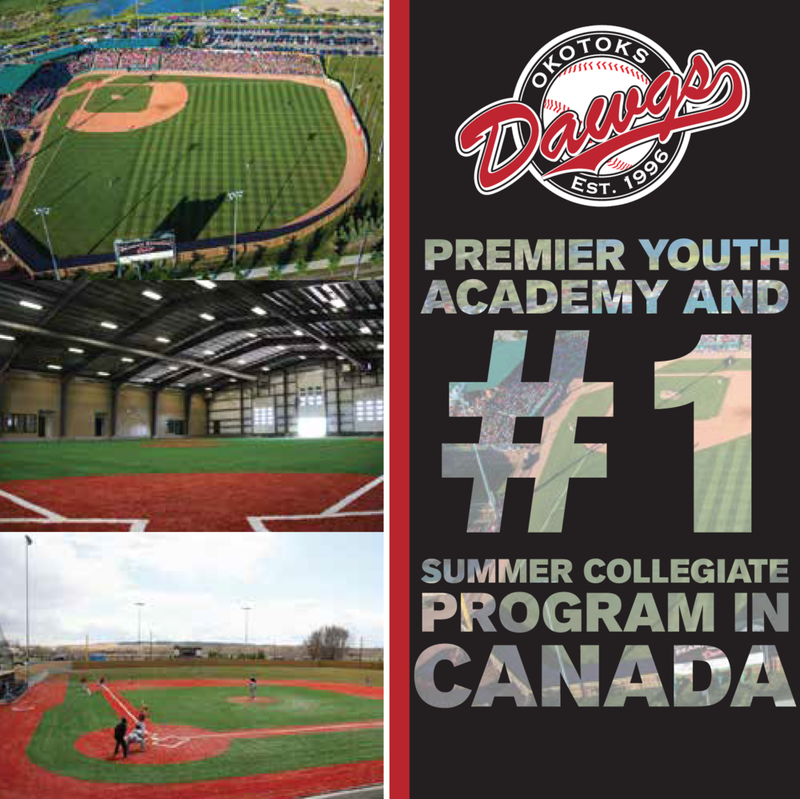 - The juniors opened the scoring in the top half of the third as Michael Stovman’s (Maple Ridge, BC) groundout cashed in Edouard Julien (Québec City, Que.) from third base. Julien had drawn a one out walk and moved to third when Soren Graversen (Calgary, Alta.) whacked a double over the centerfielder’s head. - The Phillies got the run back in the home half of the inning and took advantage an error in the process. A lead off bunt single moved to second on a wild pitch and scored when a base hit to right was misplayed by right fielder Tyler Duncan (Sooke, BC). - A three run fourth put the juniors up by three. Jason Willow (Victoria, BC) reached on an error and advanced to third when Duncan doubled down the right field line before he scored the go ahead run on a wild pitch. With Duncan on third, Andrew Yerzy (Toronto, Ont.) ripped a single to right and he came around to go from first when Dondrae Bremner (Toronto, Ont.) laced a double over the centre fielder’s head. - After a perfect fourth inning in relief, Terrell Rogers (Aldergrove, BC) issued a two out walk in the fifth before giving up a double to right that allowed the Phillies to pull within two of the lead. - The Phillies scored a run in the ninth using a lead off double off reliever Ben Abram (Georgetown, Ont.) and a pair of groundouts to come within one run of the lead but that’s as close as they would get. - Starter Tim Walters (Gibsons, BC) and relievers Rogers and Abram gave up just one run each. Walters gave up four hits and two walks, while Rogers allowed just one hit and one walk and had one strikeout. Abram blanked the Phillies for three innings before they scored a run in the ninth. - Offensively, the juniors strung together just six hits but made the most of them as Soren Graversen doubled and scored in the third, while Andrew Yerzy and Dondrae Bremer had run scoring hits as part of a three run fourth. - Walks to three out of the first four Canadian hitters loaded the bases with one out when Clayton Keyes hit a ball to the Tigers’ second baseman who threw to shortstop for the force out at second before an ensuing wild throw to first that allowed both Cooper Davis (Mississauga, Ont.) and Bremner to score. 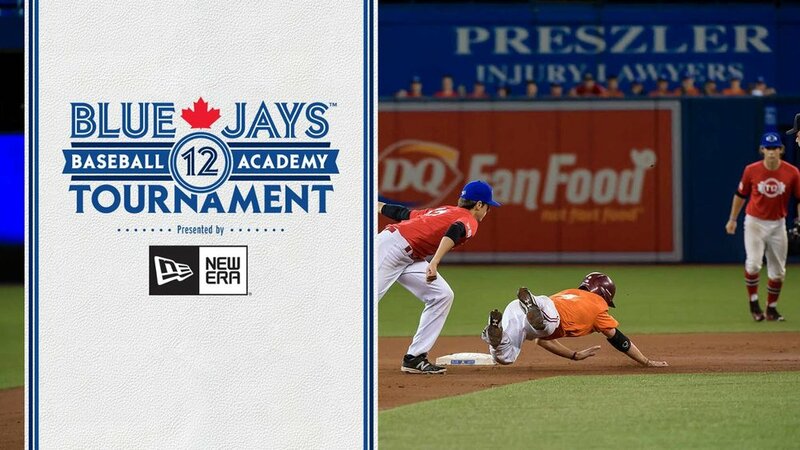 - After a lead off walk, issued by JNT starter Jaden Griffin (Lower Sackville, NS), catcher Yerzy quickly threw the runner out at second base on an attempted steal. Griffin ran into trouble however as he walked the next two batters he faced before a single to right loaded the bases. After a strikeout a groundball was misplayed by third baseman Bremner that scored the Tigers first run of the ballgame. - The Tigers pushed across the tying run in the fifth and got things going with two out as a single and wild pitch put a runner into scoring position before a base hit to centre allowed the runner to score from second. - The juniors pulled ahead in the sixth and it was Soren Graversen who belted a double off the wall in right field that brought in Steven Moretto (Burnaby, BC) all the way from first base. Moretto had led off the frame with a single to left. - Third baseman Bremner was a human vacuum on the hot corner as he made diving catches for outs in the fourth and fifth. - Noah Naylor (Mississauga, Ont.) kept his fine week at the plate going as he went 2-for-3 with singles in the fifth and eighth innings and walked in the first to reach base on all three of his plate appearances. - Steven Moretto also reached in all three of his plate appearances as he walked in the third and ninth innings and singled in the sixth before scoring on Soren Graversen’s double. - Reliever Landon Leach (Toronto, Ont.) tossed four shutout innings as he scattered two hits and struck out three batters including two in the ninth. In the eighth, a two out single advanced to third after a stolen base and a wild pitch, but Leach got a fly out to centre to leave the tying run on third. - Jason Willow (Victoria, BC) made a nice overhead, basket catch for the first out in the bottom of the ninth to take away a base hit. The juniors will travel to Boca Chica next for an 11am ET game against the Cincinnati Reds Dominican squad…RHP Mathieu Deneault-Gauthier (Candiac, Que.) is scheduled to start on the mound…You can get live updates by following @Team_C_Updates on Twitter.